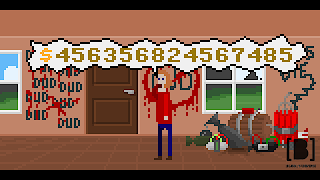 McPixel is a fast-paced, point-and-click adventure game with 8-bit graphics and music. It is available on many platforms, such as Windows, Linux, OS X, and on mobile devices as well, although there is little gameplay difference. The goal in the game is simple: to prevent things from blowing up within 20 seconds. However, McPixel is very illogical when it comes to saving the day! Story mode is where you will find most of the levels and action. Despite being called story mode, McPixel does not have a storyline, because most of the game is random and just for laughs. Story mode is laid out in four chapters, each with three rounds and a final stage. Within the rounds are a few levels to each round, so there is plenty of McPixel action in the game. Due to this layout, the gameplay is quite linear. You must clear all the levels in a round to unlock the next one. There are 3 types of completion for the levels. A dark patch represents the level is incomplete, a silver one means the day is saved, and a gold emblem means that all the gags have been seen in the level. 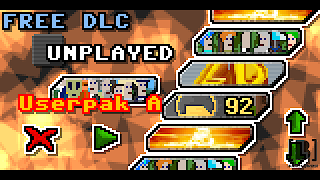 If you manage to finish all the levels with a gold rank, the final round will be unlocked. The game often references to other games and movies make these bonus rounds very enjoyable. 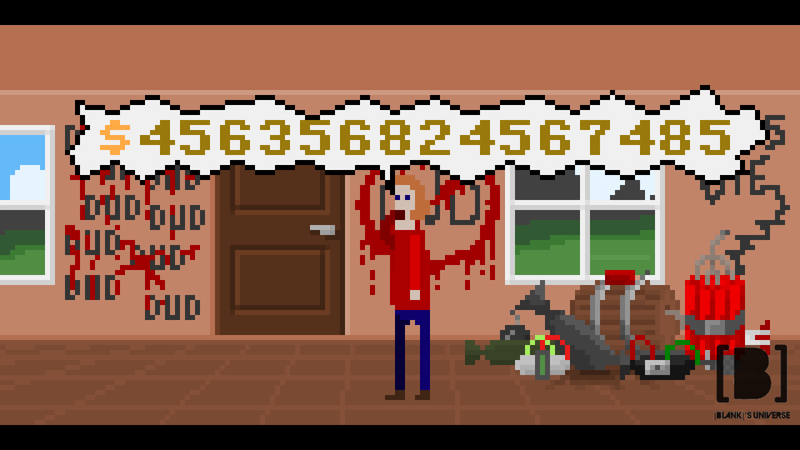 Levels do increase in difficulty (and sometimes stupidity) as you progress through the game. This aspect makes it more interesting to play but some levels are just mad. The final round for chapter 4 has levels with tons of bombs that all look the same.This round is sure to please all the pyromaniacs, and take insanity to the next level. By completing a level, you earn a white page; they are an addition to the rounds and pop up at the end of a successful level. However, if you fail a level, you lose all of your white pages. When three pages are collected, you will be sent to a strange bonus level. The only thing I have to say about the bonus levels is that they are completely psychotic. If you manage to get to the bonus level, you will see one of the three levels; a level completely filled with McPixels; cats on a rainbow; or a level that resembles an error. 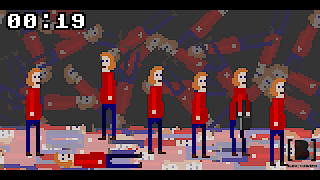 McPixel also features weird clips for each of the chapter endings; they can be revisited in extras on the main menu. The final clip, besides being slightly confusing, sums up McPixel very well. The purpose of the ending is to explain the creation McPixel levels, because the end of the clip resembles a level in the game. For those who have yet to complete the game, here is a glimpse of the ending. The game has also included five free “DLC” rounds. It seems to contain random levels SOS has not included into the main story. 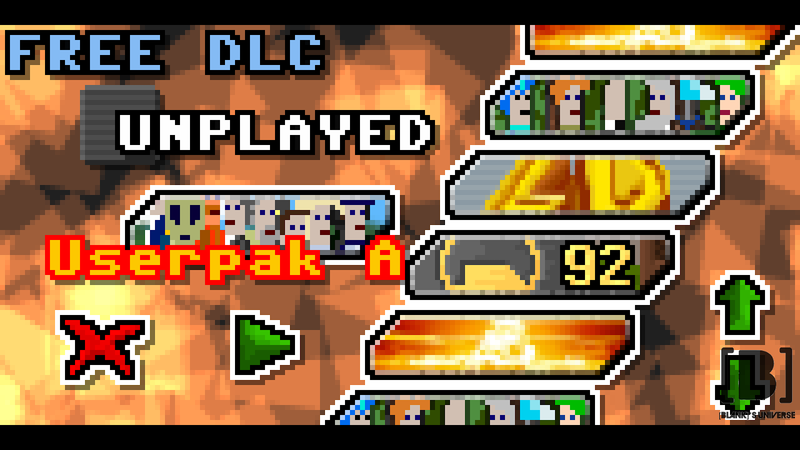 Sadly, there isn’t an option to download more DLC in game or on the McPixel site at this time. 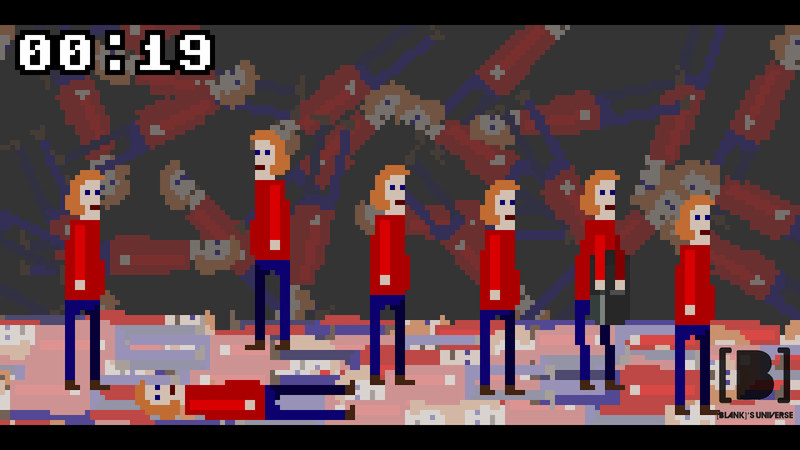 Endless mode is what happens when McPixel turns to your favourite tunes and plays it over and over again. The option lets you play all the levels you have unlocked in an endless loop, without having to switch between chapters or rounds. I have found that this mode is useful to get gold on all the levels. The McPixel soundtrack was also very enjoyable. The six tracks for the game are superb because it goes so well with the McPixel theme. The fast and repetitive rhythm in the songs are exciting, drawing the player into the upbeat game. Clearly, the songs are a factor that makes McPixel so addicting. Luckily, all the soundtracks are free and can be found on the McPixel site. 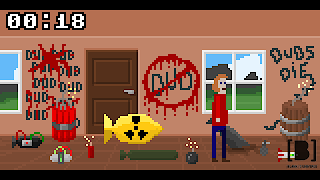 McPixel, no matter how weird or abnormal, is a fine game at a low price. Gameplay has been more than satisfying as McPixel is ridiculously hilarious. The soundtrack was very enjoyable because it goes so well with the McPixel theme. As I mentioned before, the DLCs are limited and I wished there were more levels to this game. I would recommend this game for the people who are looking for mini-games and idiotic comedy. 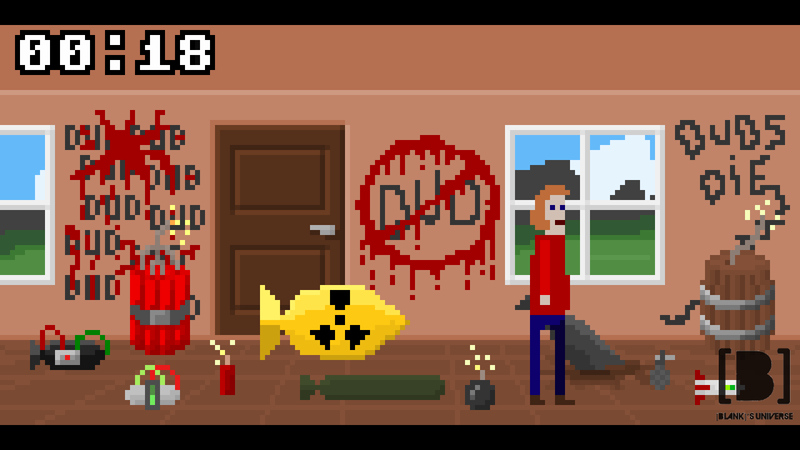 Besides losing a few braincells, playing McPixel is a delight. You can get McPixel directly from the developer or on Steam.